Andreas Kahl introduced us to Google Wave, an open-source collaboration tool currently under development. Wave would allow librarians to log themselves into the work process of students and make suggestions like: Have you considered this source? At the same time, Google Wave allows users to delegate certain processes to the machine, such as including biographical references. Till Kinstler of GBV, a German library network, talked about the sorting of search results. In his definition, information is only that part of knowledge, which we can use to solve an actual problem. There is a lot of knowledge which is not useful to us. Therefore, search engines need to present the results in a personalized way that matches the researcher’s needs. Finally, Gerald Steilen of GBV talked about the presentation of search results. First lesson: the interface of search engines needs to help the researcher formulate the right query. Second lesson: libraries can learn a lot from other providers of search engines, be it an internet search portal or the timetable search site of a railway company. Five minutes for each of these topics was certainly too little. The session gave me an idea, however, of the issues researchers and providers of research services need to think about when improving the art of research in the age of the Internet. InetBib is a German-speaking community of librarians who exchange ideas and collaborate on the use of internet technologies. 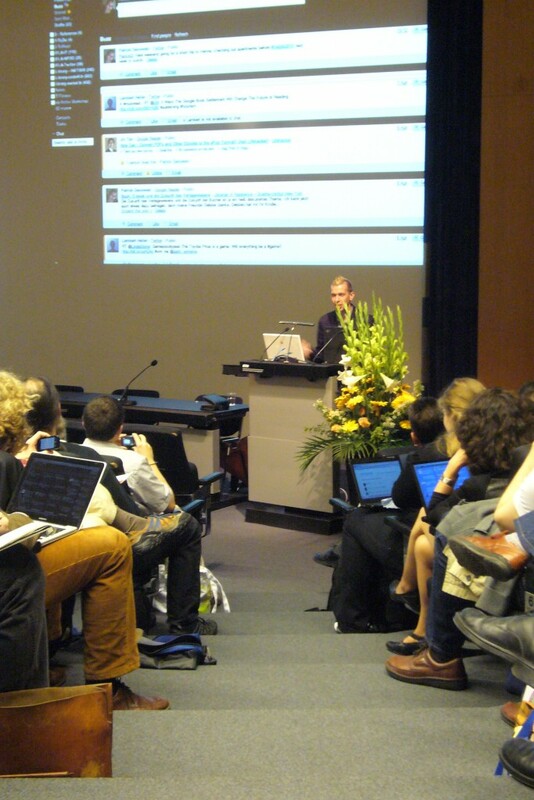 Its 11th annual conference took place at ETH Zurich, 14-16 April 2010. The ISN was present with a booth at the conference exhibition. Gerald Steilen recommended the book Search User Interfaces by Marti A. Hearst on how to design user interfaces of search engines.